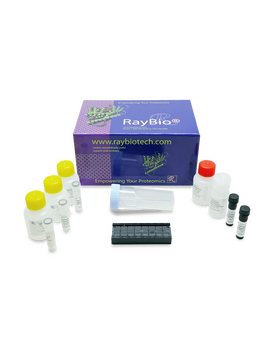 Quantibody® Human Cytokine Array 1 Kit. 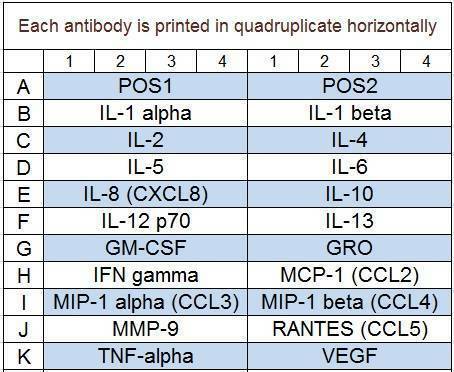 Detects 20 Human Cytokines. Suitable for all liquid sample types. Chen T., Li H., Lin J., et al. Profiling the human immune response to Mycobacterium tuberculosis by human cytokine array. Tuberculosis (Edinb). 2016 Mar;97:108-17. doi: 10.1016/j.tube.2015.12.007. Jiang, Weidong, Ruo-Pan Huang, and Ruochun Huang. "Protein Expression Profiling by Antibody Array Analysis with Use of Dried Blood Spot Samples on Filter Paper." 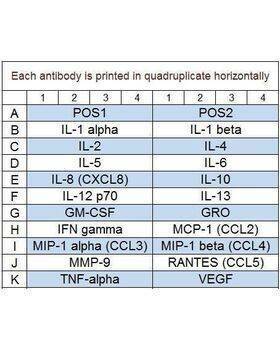 Journal of Immunological Methods. ScienceDirect, 25 Nov. 2013. Web. Kränkel, Nicolle, et al. "Novel insights into the critical role of bradykinin and the kinin B2 receptor for vascular recruitment of circulating endothelial repair-promoting mononuclear cell subsets: alterations in patients with coronary disease." Circulation (2012): CIRCULATIONAHA-112. Lönne, M., Lavrentieva, A., Walter, J. G., & Kasper, C. (2013). Analysis of oxygen-dependent cytokine expression in human mesenchymal stem cells derived from umbilical cord. Cell and tissue research, 353(1), 117-122. Logan, Patrick, Julia Burnier, and Miguel N. Burnier Jr. "Vascular endothelial growth factor expression and inhibition in uveal melanoma cell lines." ecancermedicalscience 7 (2013). Varnum S., Springer D., Chaffee M., et al. The effects of low-dose irradiation on inflammatory response proteins in a 3D reconstituted human skin tissue model. Radiat Res. 2012 Dec;178(6):591-9. doi: 10.1667/RR2976.1. Sharma, M., et al. "The potential use of Echinacea in acne: control of Propionibacterium acnes growth and inflammation." Phytotherapy Research25.4 (2011): 517-521. Definitely one of the better cytokine arrays I've worked with. Instructions were very clear and straightforward; it was a relatively simple process for a first-time user. 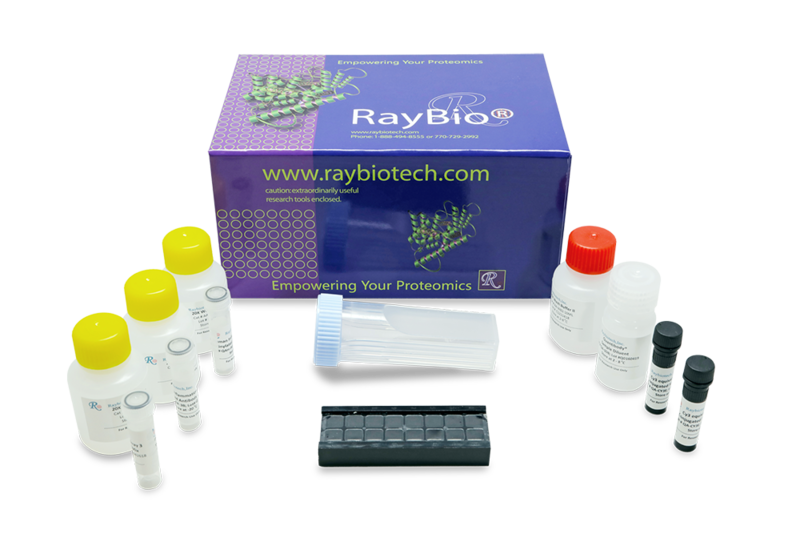 Plenty of buffers and diluents included, and free analyzing by Ray-biotech if you don't have a compatible scanner accessible.